I love all my hamsters and I'm sad when they are sick. I am happy when they are lively and healthy. I just adopt hamsters only. But hamsters day after day do get older and older. I lost all my hamsters due to old age. And one day, I found 2 cute winter white hamsters. The owner was giving them away so I brought them home. After some time, the owner gave all his hamsters away because they were sick. I was so sad, so I brought the only one hamster to the vet, but the vet said that it was too old and hard to cure. I had no choice but to bring the hamster home. I got him lots of vitamins and it helped a bit, but not for long since the hamster died just few months after. All my friends tell me not to adopt and that I am too kind, soft hearthed and get hurt easily. But I believe that adopting a hamster is better than buying. Some people buy for fun and after a few months, they just don�t care and let them die, suffer or give them up for adoption. For me, care is more important. 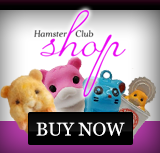 Do not breed or buy hamsters if it is just for fun and if you will not take good care of them. 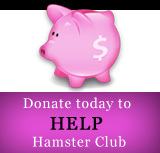 Please adopt the poor hamsters that never had good care or a loving owner.